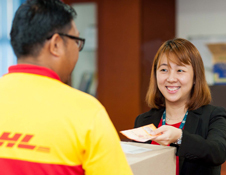 For the third consecutive year DHL Supply Chain has been recognised as a Top Employer on the international stage. This year DHL Supply Chain also received recognition for its outstanding human resources policy in eight countries – including the UK, Spain, Portugal, the Netherlands, Canada, USA, Brazil and China. Together these markets represent around 60% of the division’s total workforce. “We are delighted to be awarded as a Top Employer for the third year in a row. This certificate demonstrates that our efforts to create a sustainable HR strategy at DHL Supply Chain are paying off. Especially in the field of contract logistics, a motivated and well-trained workforce is key to offering customers optimal solutions. Which is why we take a proactive and multi-layered approach to both attracting and retaining employees. And this approach is proving successful, as shown by this renewed certification from the Top Employers Institute,” Rob Rosenberg, Global Head of Human Resources at DHL Supply Chain said.